Mark Joseph Carney is a Canadian economist who began his career at Goldman Sachs before joining the Canadian Department of Finance and then rising to become the Governor of the Bank of Canada. Born in 1965, his home was Fort Smith in the Northwest Territories. He went on to receive a Bachelor’s degree with high honours in economics from Harvard University before commencing post-grad studies at St Peters College, Oxford, where he received a Master’s and a Doctorate in the same field. He met his wife, Diana Fox (sister-in-law of Conservative Peer Lord Rotherwick), whilst at Oxford. As an economic specialist in developing nations, she would seem to be ideal company for Carney. They have four daughters. Carney has been called a ‘steady hand on the tiller’ since he joined the BoE in 2013, preceded by Sir Melvyn King, and one might conclude that his only wrong step to date was allowing himself, and the Bank, to be dragged into the Project Fear ‘Remain’ campaign. But upon further investigation, his central plank was correct. It was indeed not the smartest economic move to leave the EU, and our economy would suffer, but to go further with horror stories of house prices plummeting, cars left unsold, mortgages floundering and general economic mayhem was, perhaps, unwise. The BoE even ‘donated’ £500,000 to the ‘Remain’ campaign whilst declaring their neutrality. In a letter replying to the MP, Mr Carney said: “All the public comments that I, or other Bank officials, have made regarding issues related to the referendum have been limited to factors that affect the Bank’s statutory responsibilities and have been entirely consistent with our remits”. Repeating arguments he has made in the past, Mr Carney said that the Bank had a duty to inform the public about the implications of the vote for the purposes of monetary policy. He has previously defended the importance of such comments in order to provide clarity about how the Bank will achieve its mandate. 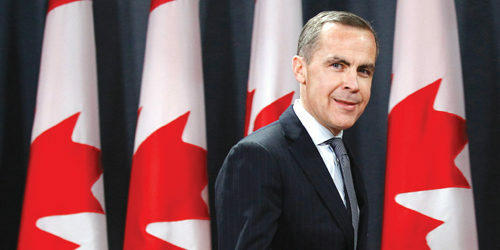 As Carney was plucked out of Canada at great expense by then Chancellor George Osborne, it is perhaps not surprising that he was dragged into the affair but rather unfortunate that he allowed the independence of the venerable institution to be dragged into politics. At the time of writing, he has survived, whereas Osborne has not. To his credit, he has taken the result on the chin and got to work minimising as much of the damage as possible and is now working full tilt to secure the country’s future economic prosperity. As markets around the world plunged following the referendum result, the Governor of the Bank of England appeared live on television before 10 a.m. to reassure the country and the financial markets that all is under control. He emphasised that any economic adjustments to be made will be supported by a “resilient” U.K. financial system. He said that Britain’s banks are far better positioned to face this situation than they were in the financial crisis in 2008, their capital requirements now 10 times higher than at that time, with £130 billion of new capital and “more than £600 billion of high-quality liquid assets” in place. In addition, he said the BoE would provide an extra £250bn of funds through its normal central banking facilities and substantial foreign currency lending to banks if they ran short of dollars, euros or yen. Mr Carney’s actions were underpinned by a series of statements from around the world. The Federal Reserve pledged to provide dollars to other central banks if necessary to alleviate financial market turbulence that it said could hit the US economy. In a statement issued hours after the UK voted to leave the EU, the Fed said it was ready to funnel dollars to other central banks. UK regulators also promised to take “all necessary” steps to ensure financial stability, raising the possibility that the Financial Conduct Authority could temporarily restrict the short-selling of certain shares — that is, when traders borrow shares, then sell them in the expectation their value will fall, buying them back at a lower price and pocketing the difference. So, a steady hand indeed, but where did this steely professional persona manifest itself? His time at Goldman Sachs would be a good place to start. During his 13 years at the company, he ran the Tokyo, New York and Toronto offices in progressively more senior positions, including Head of Sovereign Risk, Executive Director of emerging debt capital markets and Managing Director of investment banking. He also worked on South Africa’s post-apartheid venture into international bond markets and was involved in the 1998 Russian financial crisis. It is said that Carney was deeply involved with Goldman Sachs when they were named ‘the bank that crashed the worlds economy,’ referring to the 2008 financial crash. The ‘Leave’ campaign reported that he was also the mastermind behind Greece’s fiddling of its public finances when seeking European bailout cash. Whatever the truth, Mark Carney has been around the block a few times, with his hand in some of the largest global financial transactions of this generation. The controversy over that ‘political’ intervention came hot on the heels of his comments on climate change – an intervention that again prompted accusations of political meddling. The Governor is having none of it. Both on Europe and climate change, he insists he is well within his rights to comment. Indeed, he implies it is his duty. “I was in Lima with the International Monetary Fund and G20 last week, and the second-most-talked-about issue was climate change. Is it a bad thing that the Bank of England is not only doing its job but leading the way?” he asks. Crucially, he argues, it is not outside his remit. London is one of the world’s biggest insurance markets. Insurers are having to take account of climate change fears and risk. It is affecting their capital levels and the premiums they levy. Carney pulls the debate back to his core job – regulating and monitoring the UK’s financial system, saying: “If you want to deny climate change, OK. But you can’t deny the market. If you want to deny the market, then I can’t talk to you. On Europe he is equally clear that it’s his job to say something. He says: “Speaking as a central bank, it is very likely that Europe has advantaged the dynamism of this economy. In fact, it is without question. Carney refers a lot to ‘the British people’. He does so in the tone of a man expounding upon his public duty to Her Majesty’s subjects. This may sound like the traditional British public servant speaking. But insiders agree the Bank has changed under Carney. In previous interviews in the imposing grey-stone headquarters of the Bank, Carney has shown paintings of past Governors and other dignitaries adorning the walls, pointing out the desk used by eminent Governors and recounting the superstition that it is bad luck to tread on one particular mosaic in the Bank’s hallowed halls. So, he has a sense of tradition. But he has also made the Bank more open – too open, some would say – making a virtue of speaking as directly as possible to the public. He has increased the emphasis on economic research and listening to outside voices. Then, of course, there’s the man himself. An Everton supporter, he adopted the team in the 1990s after visiting relatives in Liverpool while working for Goldman Sachs in London. He’s also a keen runner, finishing this year’s London marathon in just 3 hours 31 minutes. He’s even been snapped at rock concerts. ‘I recently saw Hey Rosetta! and Arcade Fire,’ he says. For those not au fait with their work, both are Canadian indie rock/folk bands. He also has a taste for Nick Cave and the Bad Seeds. Carney’s manner is a far cry from that of his predecessors: he is smiling and at times self-deprecatory. At one point during a media interview, as he was expounding on an issue, his press minder looked nervously at a member of the public nearby. “Am I in trouble?” he smiling enquired, making a zipping gesture across his mouth before continuing more sotto voce. For Carney, the concern is with those he calls ‘vulnerable’ – the householders who could find it hard to pay their bills if rates rise. He says: “While there’s been a lot of progress paying down debt, there’s still a substantial proportion of British households carrying a lot of debt. On top of that, the fact is that real wages (taking into account inflation) have not come back to their level before the crisis. At a recent visit to Jaguar Land Rover’s factory, his minders were once again looking very nervous as the playful Governor was again on show. In a virtual reality room to make him feel like he was inside the latest Range Rover, he was required put on special glasses that made him look even more like Clooney, barring the electronic sensors that stuck out madly – they were more Elton John. “No pictures in the glasses,” says the minder. It’s clear that Carney himself is rather more relaxed. His laid-back, off-the-cuff nature and George Clooney good looks go quite some way to allowing him to slip in and out of controversy almost at will. It might not sound like a big thing, but the most frequent mistake people make in their delivery during any kind of interview, but especially in the broadcast media, is to speak too quickly. This is completely understandable: you’ve got a lot to say, time is short, you’re feeling anxious and the adrenaline is flowing, so you go like an express train. The problem is that, not only does your audience miss some of what you’re saying, but you lack authority. High-status individuals tend to talk more slowly. This is because they give the impression that they’re in charge of the timing of their comments, and they don’t fear being interrupted or having to give way to others. It’s not arrogance, it’s a quiet, understated confidence – and it’s another reason why Mr Carney is so convincing. His comments before the Scottish referendum infuriated nationalists. 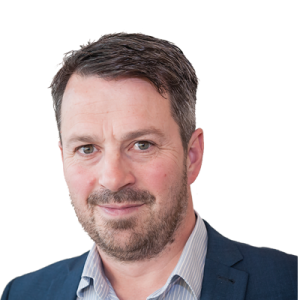 He has also voiced a view on the idea of the Bank printing money for Government spending – widely seen as a direct attack on Labour’s policy of quantitative easing. “I have been a central banker for longer than I would like to admit. First in Canada, then here in Britain, and I have worked with governments of the right and left. The correct answer in all circumstances is to stick to your mandate,” he declares, which for the Bank means monetary and financial stability – setting interest rates and overseeing Britain’s vast financial sector. So, could he work with any government, whatever its tax and spend policies? He says: “As a central banker you take fiscal policy as a given, except in the most extreme cases, where a particular policy was going to imperil your objectives as a central bank. Many believe Carney has political ambitions in Canada and will return home to try to take the helm of the Liberal Party. But after the recent election results, in which Liberal leader Justin Trudeau won an unexpected victory, that job now looks very firmly occupied. The Governor will not answer questions about his own politics. But what about his own future? “Could you envisage staying for longer than five years if the Chancellor asked you to?” he was recently asked at Victoria train station. He inserted his ticket into the gate. It spit it back at him. “I can envisage missing my train,” he jokes.